Ultimate Fighting Championship (UFC) announcer Bruce Buffer can see why Daniel Cormier would want to retire soon, but he also sees why “DC” would want another fight with Jon Jones. Cormier could retire today and few would argue his inevitable place in the UFC Hall of Fame. He is considered to be easily the best light heavyweight not named Jones and many would argue that he would’ve ruled the heavyweight division much sooner had he not moved down for his teammate Cain Velasquez. If Cormier rides off into the sunset his legacy is intact, but will he want to walk away without trying to beat Jones one more time? 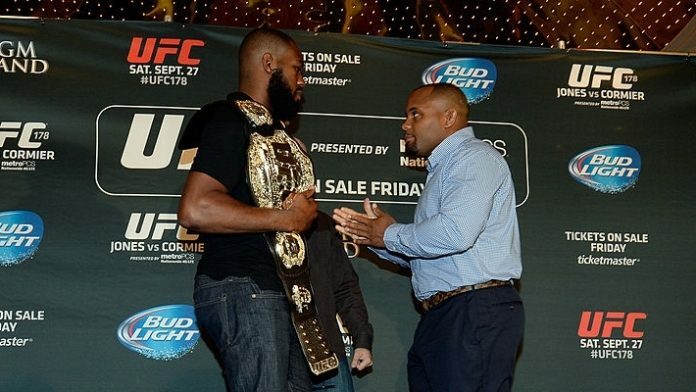 UFC president Dana White has expressed interest in booking Cormier vs. Jones III at heavyweight. While “DC” initially planned to retire by March, Cormier is unsure of what he wants to do next. Do you think Daniel Cormier should retire, or try his hand against Jon Jones a third time?